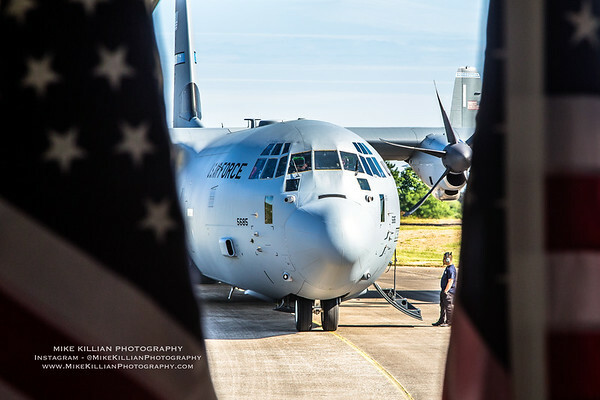 On June 3, 2018, I was honored to join the U.S Air Force European Command / 37th Airlift Squadron / 86th Airlift Wing, over the beaches of Normandy to commemorate the 74th anniversary of D-Day. Joining us were the RED DEVILS of the 107th Fighter Squadron, from the 127th Wing Michigan Air National Guard. In 1944, they flew recon missions over Normandy, allowing the Allied High Command to plan the invasion. 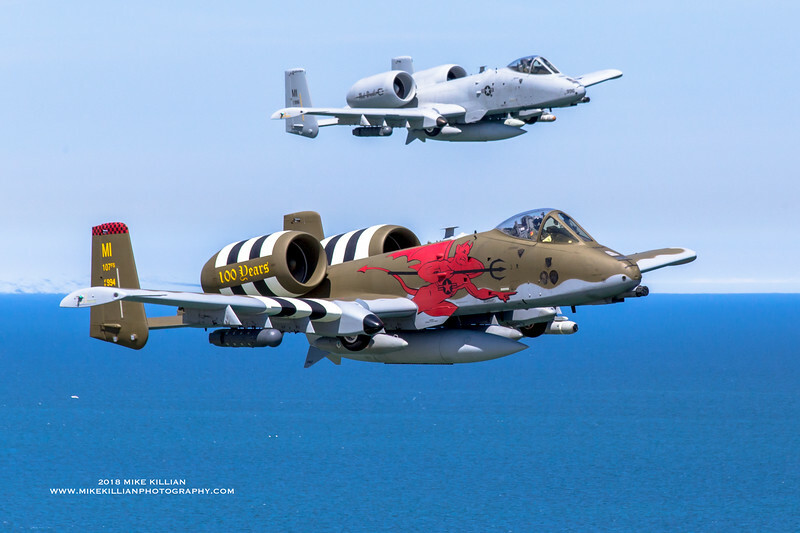 Here, two of the squadron's A-10s return, with the lead aircraft painted in special tribute to D-Day & the squadron's name. Piloted by "Sherlock" and "Monk", both pilots escorted us & flew several passes over the beaches, just as their counterparts did 74 years ago. Once my story publishes in an upcoming issue of Aviation Photojournal I'll release more images here, but cannot until then, so stay tuned!